All Souls is a Church of England parish in the Kensington Episcopal Area of the Diocese of London. 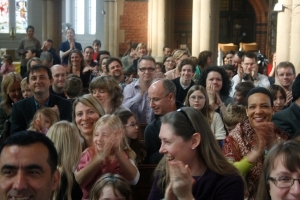 The current congregation grew from a fresh “plant” into the church building in 2000 that was done at the invitation of the then Bishop of Kensington. 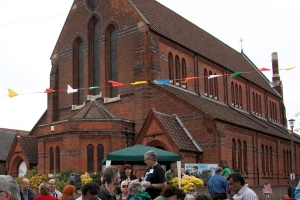 The majority of the team came from our parish neighbours, St. Stephen’s, East Twickenham. Their aim was to bring new life to the parish and to make it, once again, a parish church, serving the local communities in Jesus’ name. A group of around 50, together with the previous curate of St Stephens and a small team of leaders, helped reinvigorate the church. The community of All Souls is now made up of more than 450 people, nearly half of whom are children or teens. On an average Sunday we have around 200 attend across two services. New members have been mostly local people, many coming to church for the first time. In April of 2012, our parish doubled in size in order to take in the Ivybridge Estate where we now employ a Community Chaplain and run several important local projects. Community – All Souls is a local church, committed to the well-being of the communities around it and from which which we are drawn. Family – We are here for people of every generation, at every stage of life, from birth to old age. Welcome – Church is a great place to find that God welcomes all with the life-changing love we find in Jesus. Hope – All Souls exists to bring hope, as we invite people to be open to the Good News of Jesus as God’s Spirit brings courage, joy and change to ordinary lives. Worship – As we find ourselves loved by God, we want to love him back, not just with our Sunday singing and prayer, but on Monday mornings and through the week too.